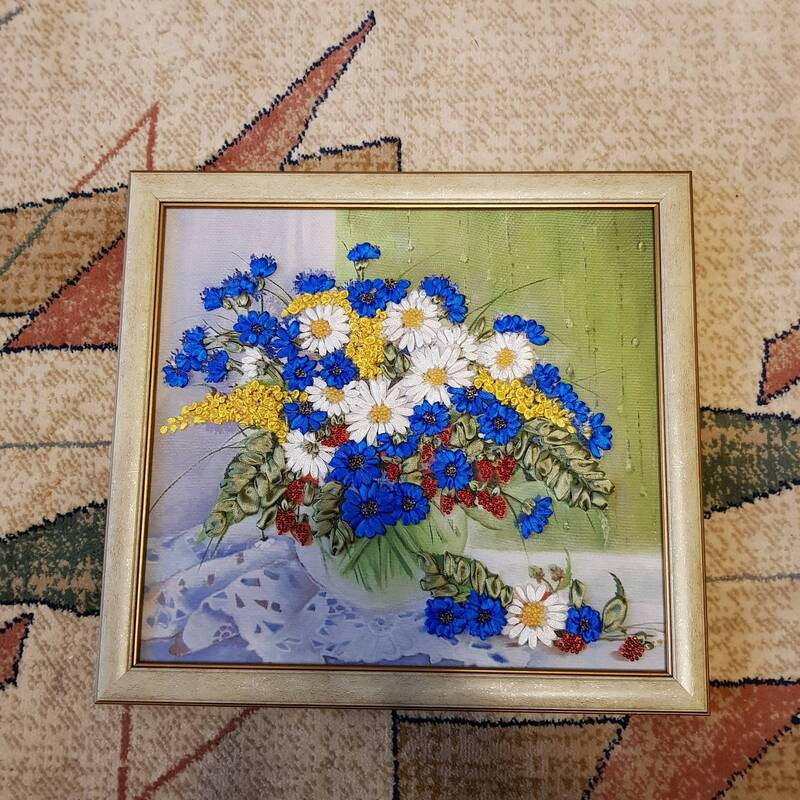 This art piece features 3D Flowers in Vase on canvas. And as they say "A picture is worth a thousand words"! The approximate size is 8x8.5 inches.